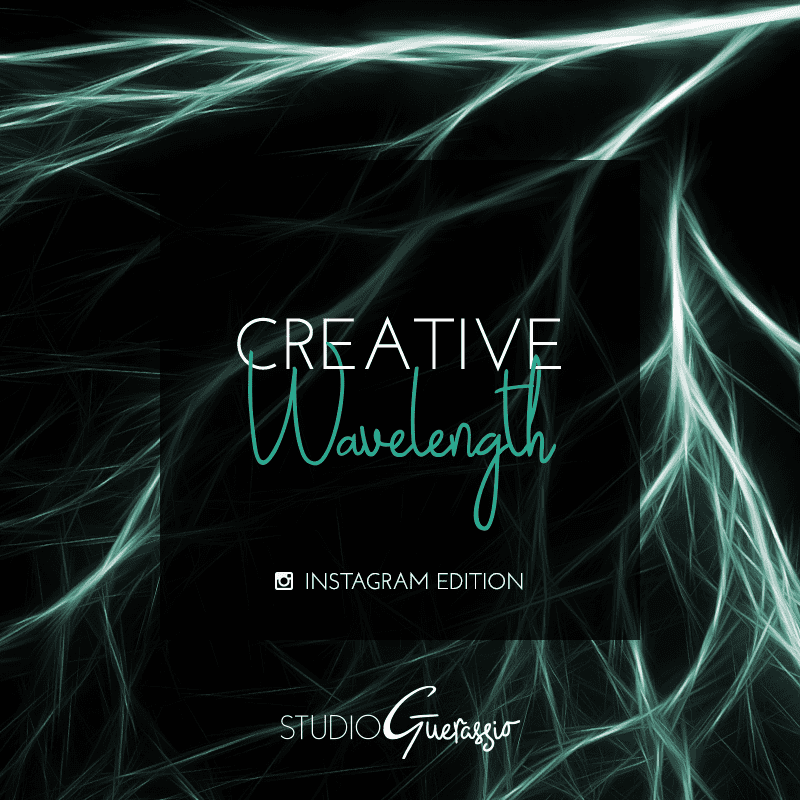 You can’t talk about creatives and social media without touching on Instagram, so today I’m sharing some of my favorite accounts to follow. These people are all doing wonderful, beautiful, funny, creative things, and documenting the process for our enjoyment. Take a look. 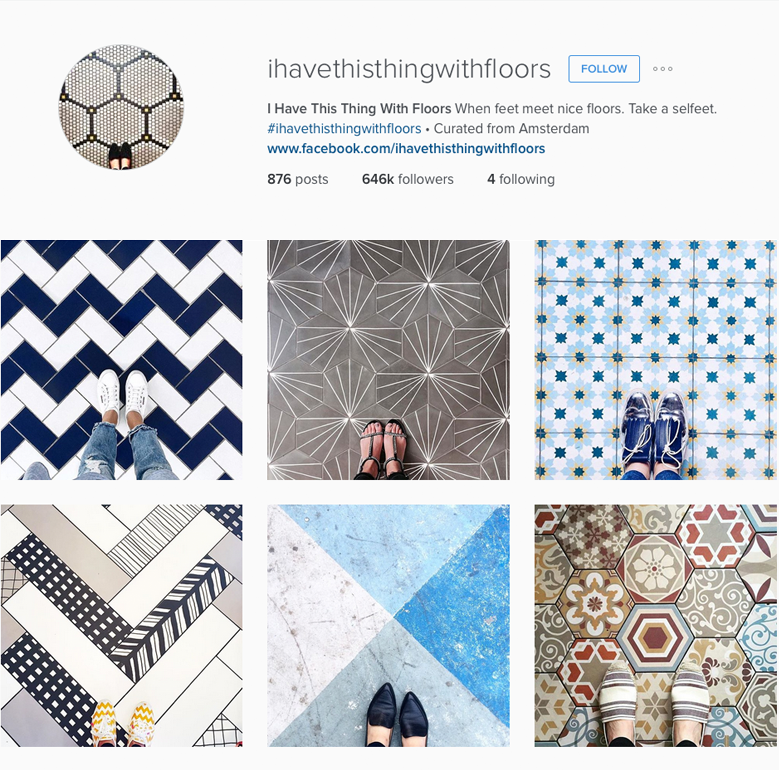 ihavethisthingwithfloors: a group of friends in Amsterdam documents the crossover between the world’s greatest floors and the foot selfie. 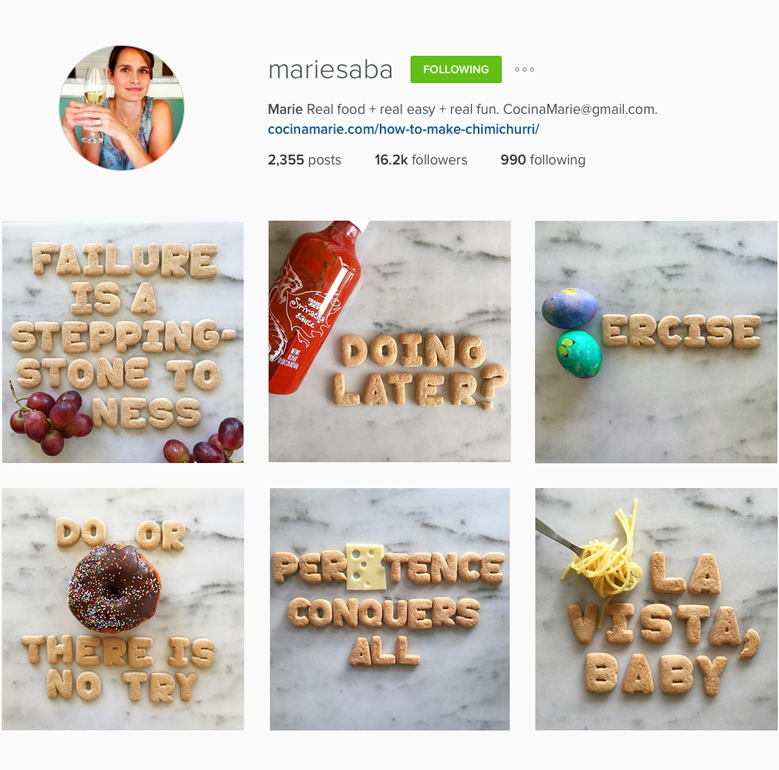 mariesaba: I dare you not to smile at her food puns. 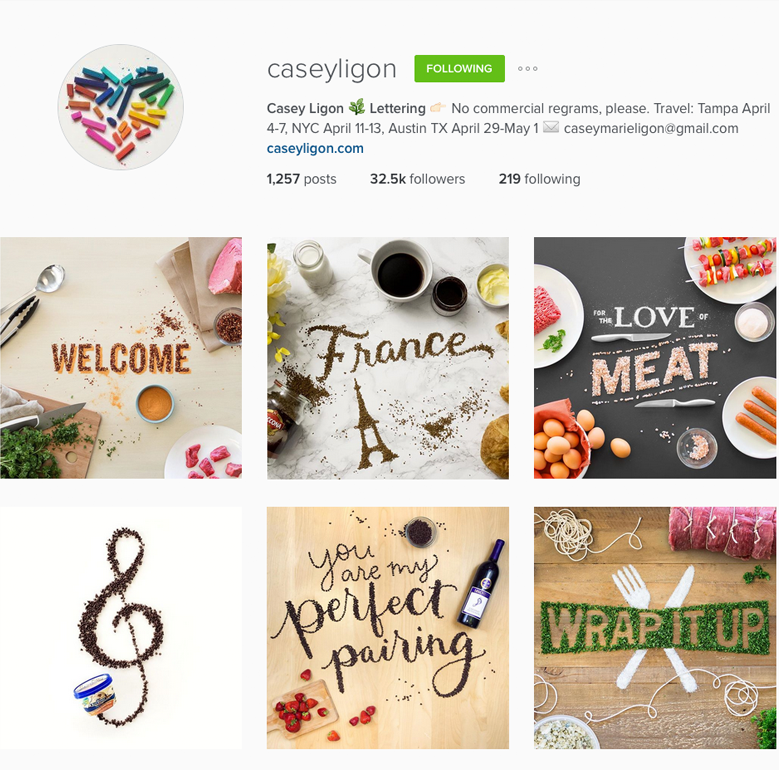 caseyligon: she does traditional hand lettering, too, but I particularly love this food and object-based projects. 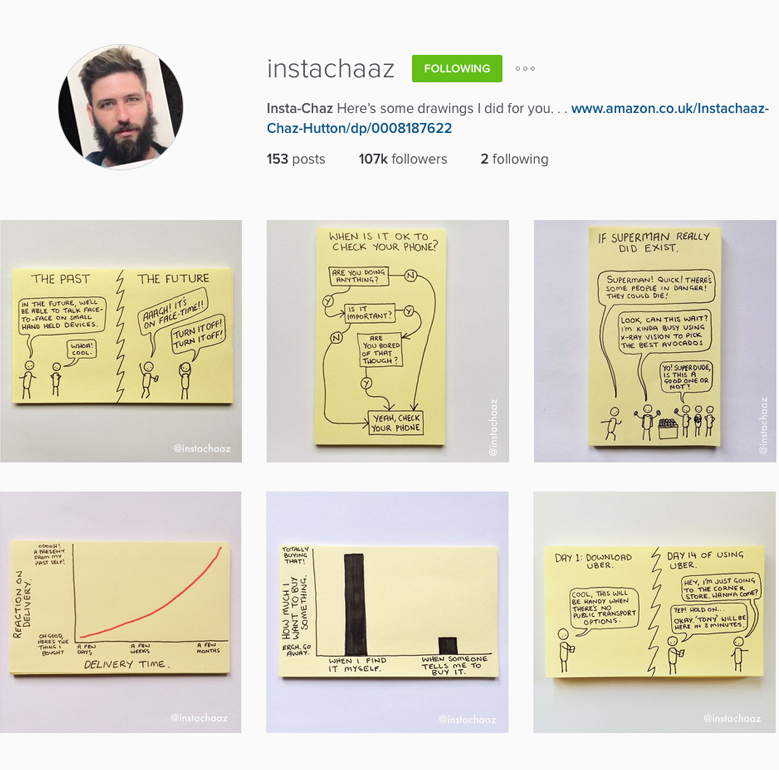 instachaaz: accurately capturing life and adulthood with humor and hand-drawn charts. 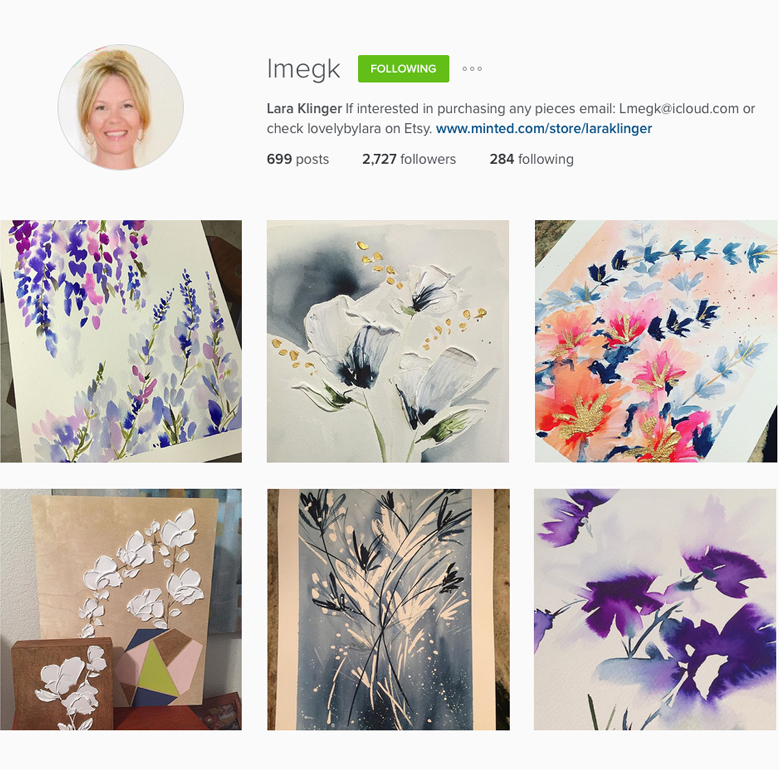 lmegk: a watercolor and mixed media artist with a lovely style and eye for details. 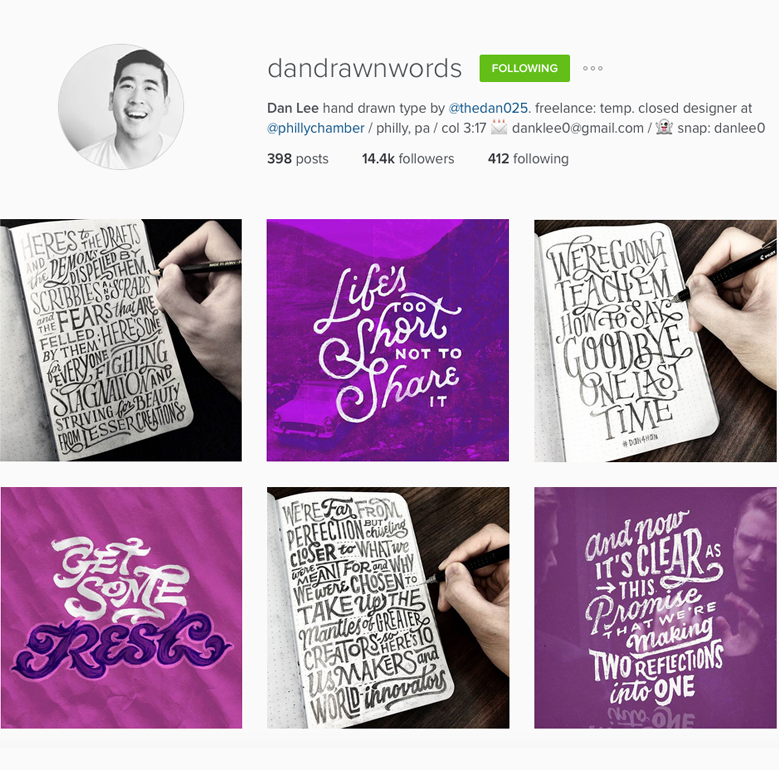 dandrawnwords: I love seeing both the rough notebook sketches and the digitized versions. ⇒ You can also find me on Instagram, over at studioguerassio. What are your favorite arty accounts to follow on Instagram? Whoa, these are awesome! I particularly like the ‘food puns’ one. I LOVE the food puns! They crack me up. I try to share the awesomeness with Ian, and he just rolls his eyes at me, haha.